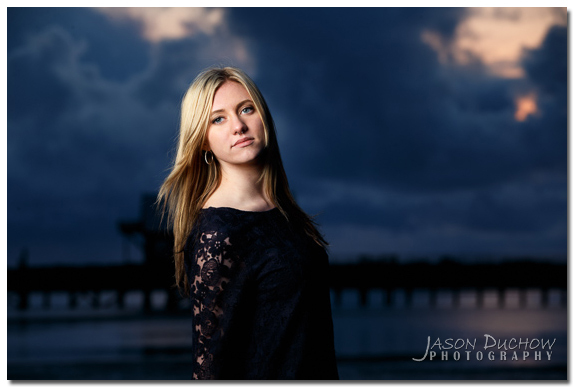 The second of my three Destination Senior Portrait sessions with Class of 2016 Senior Models was with Sky. My base of operations for my three scheduled days was Seaside Oregon, for Sky’s senior portraits we traveled south to see what we could find. As can be expected on the Oregon Coast in the spring we had it’s fair share of of rain, but we had enough breaks in the downfall to get some great photos. The first place we stopped was just past Canon Beach and it featured some great rock formations and a very cool waterfall with a shallow enough stream for some rain boot stomping! 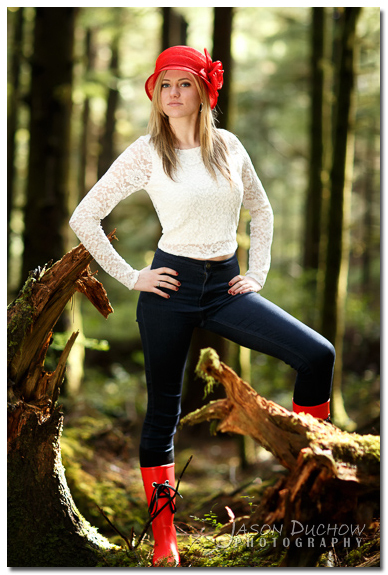 Next in our exploring we found a great dense forest spot with a lot of moss covered trees and a nice hint of sunlight peaking through for a rim light on some natural light portraits. We continued down the coast and found a great turnout overlooking the ocean, the town of Manzanita and it featured some great dramatic clouds. 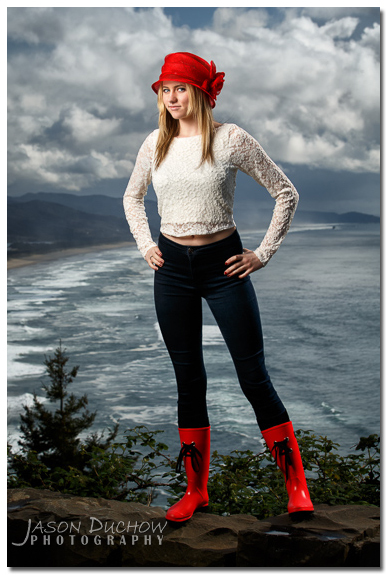 Next we did some urban style portraits in the small town of Wheeler, Oregon. 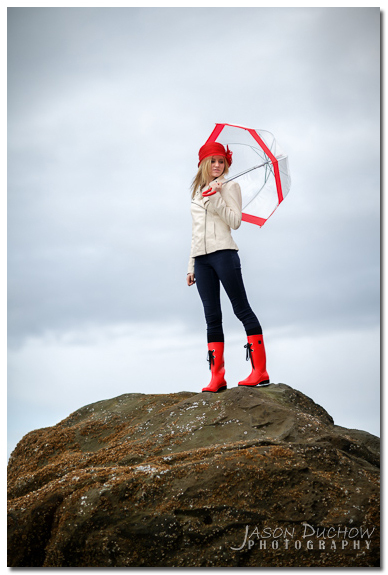 In the Rockaway Beach area we braved a few raindrops to get this portrait. 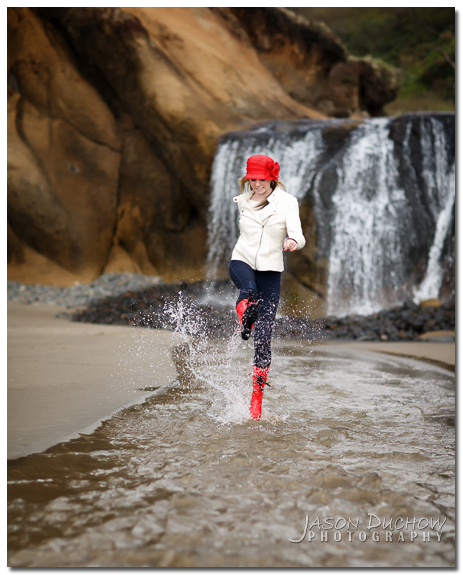 The tide was out so we were able to get some fun portraits on some rock formations just before Garibaldi. We finished up our time in the town of Garibaldi. 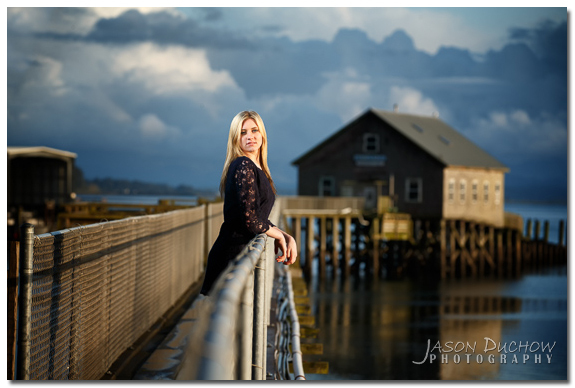 There is a great public pier there that I have been dying to do portraits on for years, I tried one time before on a trip with friends but the rain hindered that effort. After the pier the plan was to do some photos in another spot for sunset, but it started raining pretty hard so we stuck around Garibaldi to see if the rain would stop. Thankfully it stopped just long enough for us to catch a little bit of the sunset peaking through the clouds. What lighting did you use in these shots? They are beautiful! 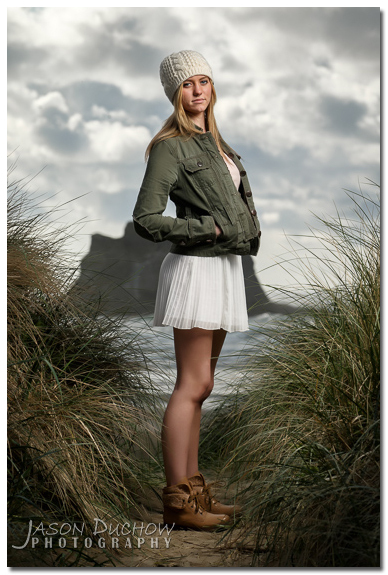 Either natural light only (Waterfall location and Wheeler), Natural light with a reflector (Forest) or a single strobe with a 47″ gridded octa.